I know for a fact it can be quite hard buying a mattress, there are so many things that you need to consider. There are a lot of types of mattresses, I have to be quite picky with my choice because I suffer from a very bad back. A mattress is a very important purchase in your life and you need to make the right choice. Some people including myself have always gone with the price, the cheaper the better. Well no, I’ve realised there are so many different aspects to consider, after all you do spend 30% of your life in bed. This guide helps you with everything, from the beginning to the end of the whole purchase. Do you need a new mattress, is your current mattress more than 8 years old?, is your current mattress as comfortable and supportive as when you first bought it? Which are definitely the most important questions but this guide teaches you and helps you with more, What size of mattress do you need?. This is a very important question, how much space in your bedroom will obviously determine what size but there may be more to it. Deciding on a mattress size, what type of mattress. This guide goes into depth with everything which is very useful, I think the biggest question is what mattress should you buy? i have always found this hard. There are so many different types: Spring mattresses, open coil, continuous spring mattress, pocket sprung etc. This can definitely be a hard decision to make especially if you have a partner sleeping with you, you have to meet a mutual decision. The guide will ask how tall you are, your partner and it will help you decide. The most common used types of mattress fillings are: cotton, wool, polyester, non sprung mattresses, for mattresses, polyurethane foams, memory foam/visco elastic, gel foam/geltex and latex. The main thing to think about is comfort, it has to be comfy. It has to be supportive, the durability needs to be long and have a decent timescale. Also another thing to consider is your physical needs, this guide teaches you all different sleeping types and positions, side sleepers, back sleepers, stomach sleepers. Also body weight is so important, your weight make a big difference to your mattress you need to make sure that the mattress will hold, support and last a long time. You don’t want springs poking through or for the mattress to sag and get worn out. Your physical needs are a massive importance, you may need an orthopaedic mattress or a specially designed mattress. These are all things to consider. 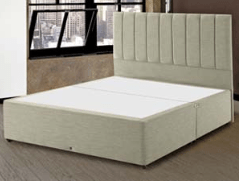 So how much should you pay for mattress, obviously you should aways be looking for the best offer but obviously the lower the price is the better. There are so many things to consider buying a new mattress, I don’t think it is something to just dive into it needs to be thought about to make sure you find a durable and comfortable mattress that’s going to last you and your family years. You can check choosing a mattress guide for all of this information, also the website has a lot to offer.